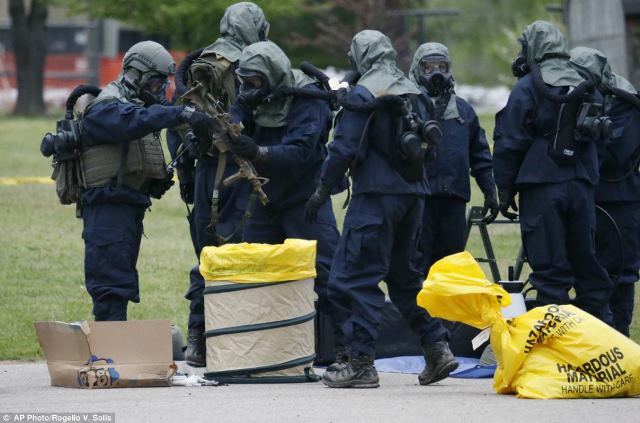 SWITZERLAND, Zurich —Based on breaking news and events, it appears that CIA Headquarters beneath Lake Geneva will stage a horrific Islamic terror attack during the 2015 ATP World Tour Finals in London, England on November 22, 2015. Exactly what type of terror is planned for the 2015 ATP World Tour Finals is not known, but a 9/11-style bio-attack (possibly via Flight MH370), a full-scale ISIS-inspired terror attack and/or invasion are the most likely tennis terror scenarios. 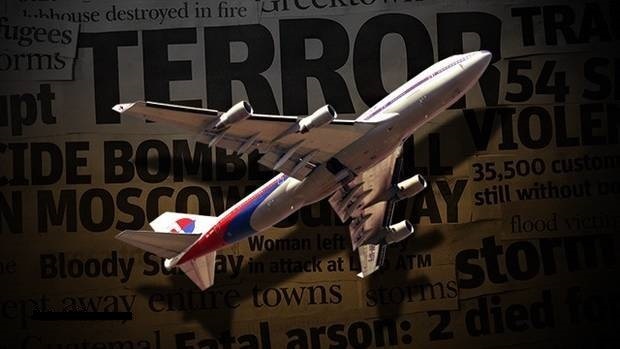 Said 9/11-style attack may come from the previously hijacked Flight MH370 which was disappeared by the CIA back on March 8, 2014 in order to execute a WMD-related attack. Needless to say, the made-for-TV bio-terror attack is designed to spark the bio-terror pandemic planned for 2015. It’s also highly likely that the Swiss CIA will use the international hype and coverage of the tournaments in question to execute a Mumbai-like terror attack (simultaneous attacks on multiple locations) elsewhere in England while the world is collectively fixated on the tennis tournament. That being said, the CIA could also engineer a so-called “accident” or “natural disaster” during the 2015 ATP World Tour Finals (e.g., fire, gas explosion, stadium collapse, stampede, vehicular manslaughter attack, etc.) which would inevitably terrorize and/or kill thousands of tennis fans in attendance. In what appears to be a CIA-spawned publicity stunt designed to highlight tennis on an international tabloid level just prior to a state-sponsored terror attack, it was reported on August 13, 2015, that ATP player Kokkinakis slept with another ATP player’s girlfriend. In what appears to be bio-chemical terror attack programming for tennis, it was reported on August 16, 2015, the tennis superstar Novak Djokovic complained about the smell of marijuana on the court while playing at the Rogers Cup in Canada. Lastly, in what appears to be 9/11-style terror attack programming for tennis, it was reported back on September 4, 2015, that a teacher was arrested for allegedly operating a drone at the U.S. Open. Needless to say, the incident was staged and the alleged teacher likely doubles as an intelligence operative. The notion that tennis tournaments are now under the threat of state-sponsored terror was first identified back on March 19, 2014, when Al Qaeda’s magazine “Inspire” listed tennis matches among its new targets. Since Al Qaeda and ISIS are the primary terror arms of the CIA, the magazine’s respective targets are in essence what the CIA is planning to attack. In what appears to be a Roman-like blood sacrifice to a successful tennis-related attack in 2015, it was reported back on January 21, 2015, that Violetta Degtiareva, “The next Anna Kournikova”, inexplicably dropped dead of a so-called “heart attack” at tennis practice. Degtiareva’s apparent assassination was followed by the sudden death of Elena Baltacha on May 5, 2015, a former British No1 tennis player, who suddenly died of “liver” cancer at the age of 30. Both deaths are highly suspicious and suggest, albeit in a de facto manner, that tennis-related terror is planned for 2015. Lastly, in order to set the precedent for on-court terrorist attack at the 2015 French Open, it was reported on May 24, 2015, that tennis star Roger Federer ripped French Open security officials after a fan rushed the court and took a selfie. Needless to say, the fan was likely an intelligence operative and will not be punished. 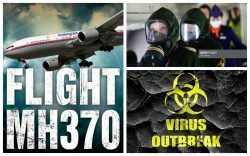 Based on breaking news and events, it appears that the CIA in Switzerland is plotting an attack via Malaysian Airlines Flight MH370 which was specifically hijacked by CIA on March 8, 2014, in order to execute a surprise WMD attack. Nevertheless, according to a report dated July 29, 2015, debris found in the Indian Ocean is now being checked to see if it emanated from Flight MH370. The report was evidently designed to draw unprecedented media attention to the hijacked plane just prior to a 9/11-style attack or terrorist invasion. Although a USA Today report from August 2, 2015, stated that the debris found on Reunion Island was not from Flight 370, an August 5, 2015, report from CNN stated that the answer on whether the Boeing parts are from Flight MH370 could come this week (i.e., August 5-11, 2015). However, on August 5, 2015, Reuters broke the story that Malaysia Airlines has confirmed that airplane parts found on Reunion Island are in fact from Flight MH370. Whether this discovery will stand the test of time is not known, but it’s highly unlikely as it appears to be a hoax. Consequently, a 9/11-style attack and/or an ISIS-related terrorist invasion via Flight MH370 now appears imminent. As depicted in the Bio-Terror Bible, a state-sponsored bio-terror attack will likely involve the agents known as Anthrax (Bacillus anthracis) and/or Smallpox (Variola major) which will be released into a controlled environment during a false-flag terror attack. 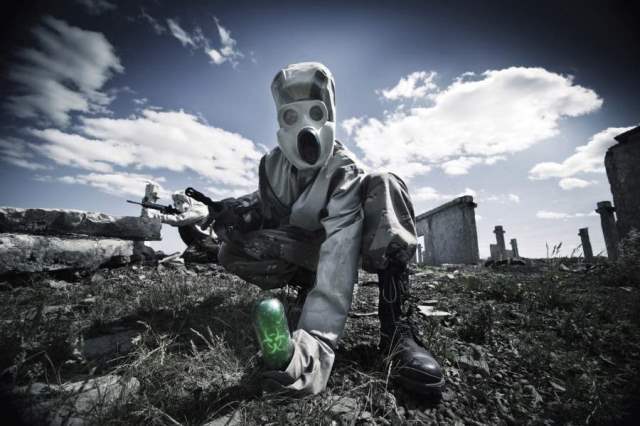 That being said, it now appears that the Novichok Agent, “the most deadly nerve agents ever made”, will be the actual pathogen dispersed in the bio-terror attack. In other words, Novichok will be released but the government and media will blame Anthrax or Smallpox. This would be done in-part because both Anthrax and Smallpox need direct and sustained contact with a potential host before they become infected or die, whereas Novichok (although not contagious) is “five to eight times more potent than VX”. Novichok, which belong to the “fourth generation chemical weapons“, can be “dispersed in an ultra-fine powder instead of a gas or a vapor”, making it the perfect bio-chemical cover for an alleged Anthrax attack. After being infected, Novichok increases neuromuscular junctions, causing involuntary contractions of all muscles. This subsequently leads to respiratory and cardiac arrest and finally death. Once photos and video of people squirming and convulsing on the ground hits social media, a majority of the public will stand in line for a vaccine that will predictably be laced with Anthrax, causing a majority of those vaccinated to die within 24-hours. In other words, millions of people will die from the very chemical that they hoped to avoid when taking the vaccine. SWITZERLAND, Zurich —Based on breaking news and events, it appears that CIA Headquarters beneath Lake Geneva will stage a horrific Islamic terror attack during the 2015 ATP World Tour Finals in London, England on November 15-22, 2015. SWITZERLAND, Zurich — Based on breaking news and events, it appears that CIA Headquarters beneath Lake Geneva will stage a horrific Islamic terror attack during the 2015 BNP Paribas Masters which is currently taking place in Paris, France until November 8, 2015. Exactly what type of terror is planned for the 2015 BNP Paribas Masters is not known, but a 9/11-style bio-attack (possibly via Flight MH370), a full-scale ISIS-inspired terror attack and/or invasion are the most likely tennis terror scenarios. It’s also highly likely that the Swiss CIA will use the international hype and coverage of the tournaments in question to execute a Mumbai-like terror attack (simultaneous attacks on multiple locations) elsewhere in Austria, Luxembourg, Russia and/or Sweden while the world is collectively fixated on the tennis tournament. That being said, the CIA could also engineer a so-called “accident” or “natural disaster” during the tennis tournaments in question (e.g., fire, gas explosion, stadium collapse, stampede, vehicular manslaughter attack, etc.) which would inevitably terrorize and/or kill thousands of tennis fans in attendance. SWITZERLAND, Zurich — Based on breaking news and events, it appears that CIA Headquarters beneath Lake Geneva will stage a horrific tennis-related terror attack this coming weekend. Said terror attack will predictably be blamed on Islamic terrorists such as Al Qaeda and/or ISIS. Current tennis tournaments under the threat of state-sponsored terrorism include but are not limited to: the ‘2015 Valencia Open 500’ in Valencia, Spain; the ‘2015 Swiss Indoors’ in Basel, Switzerland; and the ‘2015 WTA Finals’ in Singapore. Exactly what type of terror is planned for the 3 tennis tournaments in question is not known, but a 9/11-style bio-attack (possibly via Flight MH370), a full-scale ISIS-inspired terror attack and/or invasion are the most likely terror scenarios. SWITZERLAND, Zurich — Based on breaking news and events, it appears that CIA Headquarters beneath Lake Geneva will stage a horrific tennis-related terror attack in Europe this coming weekend. 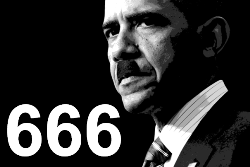 Said terror attack will predictably be blamed on Al Qaeda, ISIS or Russia. Tennis tournaments under threat include but are not limited to: the 2015 Kremlin Cup at Olympic Stadium in Moscow Russia; the 2015 Luxembourg Open in Luxembourg; the 2015 Stockholm Open at the Kungliga tennishallen in Sweden; and the 2015 Vienna Open at Wiener Stadthalle in Austria. Exactly what type of terror is planned for the 4 tennis tournaments in question is not known, but a 9/11-style bio-attack (possibly via Flight MH370), a full-scale ISIS-inspired terror attack/invasion and/or a Russian-based attack/invasion are the most likely terror scenarios. SWITZERLAND, Zurich — Based on breaking news and events, it appears that CIA Headquarters beneath Lake Geneva will stage an attack during the 2015 Shanghai Rolex Masters which will be held at the Qizhong Forest Sports City Arena in Shanghai, China on October 11 through October 18, 2015. Exactly what type of terror is planned for the 2015 Shanghai Rolex Masters is not known, but a 9/11-style bio-attack, a domestic Chinese terrorist attack, and/or a North Korean bio-missile strike are the most likely terror scenarios. Needless to say, a bio-attack would spark the bio-terror pandemic planned for 2015. Said 9/11-style attack may come from the previously hijacked Flight MH370 which was disappeared by the CIA back on March 8, 2014 in order to execute a WMD-related attack. Because Shanghai is located just off the Pacific Ocean, the plane could fly in off the water from an undisclosed location (e.g., Malaysia) at full speed, attacking the event prior to a military response from the Chinese Air Force. It’s also highly likely that the Swiss CIA will use the international hype and coverage of the 2015 Shanghai Rolex Masters in order to execute a Mumbai-like terror attack (simultaneous attacks on multiple locations) elsewhere in China while the world is collectively fixated on the tennis tournament. That being said, the CIA could also engineer a so-called “accident” or “natural disaster” during the 2015 Shanghai Rolex Masters (e.g., fire, gas explosion, stadium collapse, stampede, vehicular manslaughter attack, etc.) which would inevitably terrorize and/or kill thousands of tennis fans in attendance. 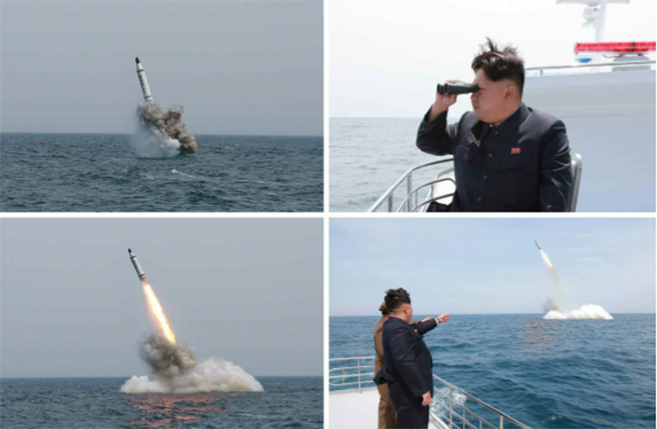 As depicted in the July 26, 2015, Truther.org report entitled “Swiss CIA Plotting North Korean-Based Nuclear, Bio-Chemical or EMP-Related Missile Strike on America”, a North Korean missile strike on China may be imminent. Because China is located next to North Korean, a missile strike emanating from North Korea or a North Korean submarine is a plausible narrative. According to reports, North Korea has an “active” and “secretive” bioweapons program which has been allegedly testing bioweapons on children. Also, North Korea attempted to launch a biochemical attack against South Korea prior to the G20 Summit in Seoul, and has the ability to produce upwards of 1.25 million chemical bombs. They also have approximately 200,000 troops, which are reportedly ready to carry out military operations, including the dispersal of anthrax spores with specialized equipment. North Korea was also “caught” shipping approximately 14,000 anti-chemical weapons suits along with reagents used to identify chemical substances that become airborne after a chemical weapons attack. In the event that North Korea executes a bio-terror attack on China, it will most likely come from a missile laden with anthrax (Bacillus anthracis) and/or smallpox (Variola major). SWITZERLAND, Zurich — Based on breaking news and events, it appears that CIA Headquarters beneath Lake Geneva will stage an attack during the Rakuten Japan Open Tennis Championships (Japan Open) at the Ariake Coliseum in Tokyo Japan on October 8-11, 2015. Exactly what type of terror is planned for the 2015 Japan Open is not known, but a 9/11-style bio-attack, a domestic Japanese terrorist attack, and/or a North Korean bio-missile strike are the most likely terror scenarios. Needless to say, a bio-attack would spark the bio-terror pandemic planned for 2015. 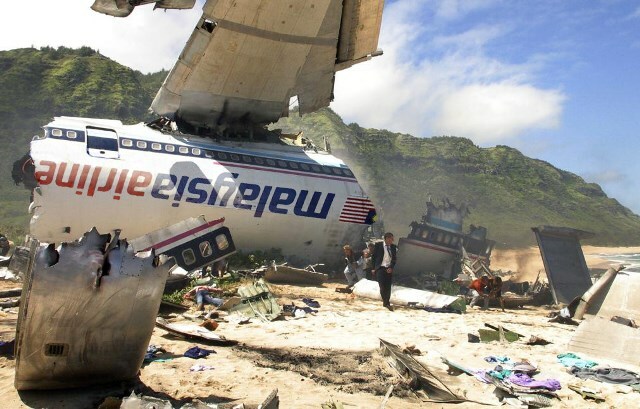 Said 9/11-style attack may come from the previously hijacked Flight MH370 which was disappeared by the CIA back on March 8, 2014 in order to execute a WMD-related attack. Because Tokyo is located just off the Pacific Ocean, the plane could fly in off the water from an undisclosed location (e.g., Malaysia) at full speed, attacking the event prior to a military response from the Japanese Air Force. It’s also highly likely that the Swiss CIA will use the international hype and coverage of the 2015 Japan Open in order to execute a Mumbai-like terror attack (simultaneous attacks on multiple locations) elsewhere in Japan while the world is collectively fixated on the tennis tournament. That being said, the CIA could also engineer a so-called “accident” or “natural disaster” during the 2015 Japan Open (e.g., fire, gas explosion, stadium collapse, stampede, vehicular manslaughter attack, etc.) which would inevitably terrorize and/or kill thousands of tennis fans in attendance. As depicted in the July 26, 2015, Truther.org report entitled “Swiss CIA Plotting North Korean-Based Nuclear, Bio-Chemical or EMP-Related Missile Strike on America”, a North Korean missile strike on Japan may be imminent. Because Japan is located next to North Korean, a missile strike emanating from North Korea or a North Korean submarine is a plausible narrative. According to reports, North Korea has an “active” and “secretive” bioweapons program which has been allegedly testing bioweapons on children. Also, North Korea attempted to launch a biochemical attack against South Korea prior to the G20 Summit in Seoul, and has the ability to produce upwards of 1.25 million chemical bombs. They also have approximately 200,000 troops, which are reportedly ready to carry out military operations, including the dispersal of anthrax spores with specialized equipment. North Korea was also “caught” shipping approximately 14,000 anti-chemical weapons suits along with reagents used to identify chemical substances that become airborne after a chemical weapons attack. In the event that North Korea executes a bio-terror attack on Jpana, it will most likely come from a missile laden with anthrax (Bacillus anthracis) and/or smallpox (Variola major).